The American Civil Liberties Union filed a class-action lawsuit Friday, accusing the U.S. government of broadly separating immigrant families seeking asylum. The lawsuit follows action the ACLU took in the case of a Congolese woman and her 7-year-old daughter, who the group said was taken from her mother "screaming and crying" and placed in a Chicago facility, 2,000 miles away from her mother. HOUSTON — The American Civil Liberties Union filed a class-action lawsuit Friday accusing the US government of broadly separating immigrant families seeking asylum. The lawsuit follows action the ACLU took in the case of a Congolese woman and her 7-year-old daughter, who the group said was taken from her mother ‘‘screaming and crying’’ and placed in a Chicago facility. 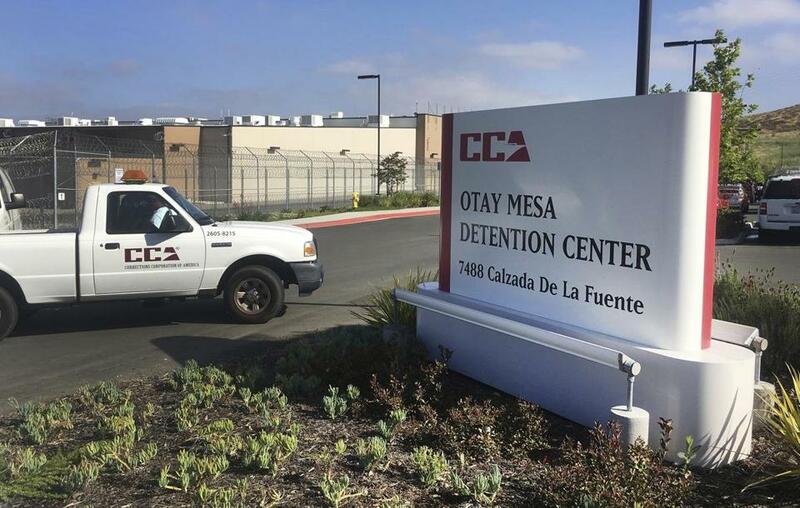 While the woman was released Tuesday from a San Diego detention center, the girl remains in the facility 2,000 miles away. Immigrant advocates say the mother and daughter’s case is emblematic of the approach taken by President Trump’s administration. The lawsuit, filed in federal district court in San Diego, asks a judge to declare family separation unlawful and says hundreds of families have been split by immigration authorities. The US Department of Homeland Security has not announced a formal policy to hold adult asylum seekers separately from their children. But administration officials have said they are considering separating parents and children to deter others from trying to enter the United States. The department declined to comment Friday on the lawsuit. DHS acting press secretary Tyler Houlton, in an earlier statement on the case of the Congolese woman and her daughter, said government officials have to verify that children entering the United States are not victims of traffickers and that the adult accompanying them is actually their parent. In separate court papers filed Wednesday, the US government said it is awaiting the results of DNA testing to confirm the woman is the girl’s mother. ‘‘We ask that members of the public and media view advocacy group claims that we are separating women and children for reasons other than to protect the child with the level of skepticism they deserve,’’ Houlton said. Different government agencies are responsible for holding adults and children. US Immigration and Customs Enforcement detains adults accused of immigration violations, while the US Department of Health and Human Services cares for unaccompanied immigrant children. Immigration advocates criticized Barack Obama’s administration for opening new family detention facilities in Texas and called for parents and children to be released. The two Texas facilities that it opened were found by a federal judge in 2015 to violate a long-standing 1997 settlement requiring children be released or otherwise held in the ‘‘least restrictive setting’’ available.